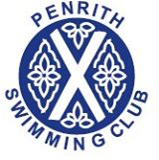 PENRITH Swimming Club annual championships took place over several sessions during November. Swimmers aged five upwards took part in races across varying strokes and distances, with points being awarded towards trophies in different age groups. Heats were drawn up based on age and gender and family and friends were able to watch and cheer on the competitors. Following the last session the points were totalled to enable the trophies to be awarded at the presentation night, held at Penrith Cricket Club. Each session began with the 25m races for the eight years and under boys and girls. These young swimmers took part in freestyle, backstroke and breaststroke (eight years only). Winners were Caitlin Padgett (seven years girls overall trophy), Lucas Iredale (seven years boys overall trophy), Jessica Prokas (eight years girls overall trophy), Elliot Kirby and Angus Fleming (joint winners eight years boys overall trophy). The nine and 10-year-olds competed in 50m freestyle, backstroke, breaststroke, butterfly and 100m individual medley. Winners were: Charlotte Newby (nine years girls overall trophy), Lucy Oliver, Ellie Lloyds, Harry Dodd (nine years boys overall trophy), Josh Padgett, Nathan Ellwood, Niamh Brenan (10 years girls overall and 50m freestyle trophies) and Charlie Harding (10 years boys overall and 50m freestyle trophies). Those swimmers aged 11 and over were entered into 50m and 100m distances in all strokes and the 200m individual medley. Competitors were also able to select to enter the men’s 400m freestyle open or the ladies’ 200m freestyle open. Winners were: Emily Guthrie (11-12 years girls overall and sprint trophies), Emily Ellwood, Kes Fountain (11-12 years boys overall and sprint trophies), Caitlin Poulson (13-14 years girls overall, sprint and 200m freestyle trophies), Jake Fabi (13-14 years boys overall, sprint, 50m and 400m freestyle trophies), Rebecca Titterington (ladies overall, sprint, individual medley, 50m and 100m freestyle trophies), Sean Fleming and Adam Huggon (men overall and 100m freestyle trophies). Swimmers were presented with the following awards rewarding effort throughout the year: Saskia Todd, Diddy League 2013 top girl; Kes Fountain, Diddy League 2013 top boy; Caitlin Poulson, Janice Archer, cup for most improved swimmer; and Jake Fabi, Bulldog Shield for most ASA points. The club thanked all parents and helpers who gave up their time to assist in the running of the championships.